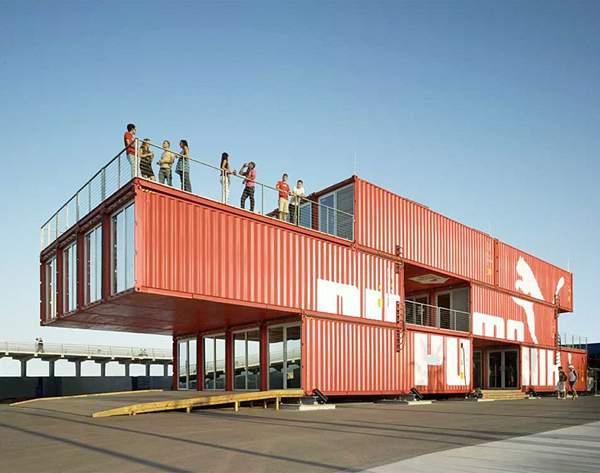 Building with shipping containers is one of the more recent trends in architecture. There is evem a term for it. 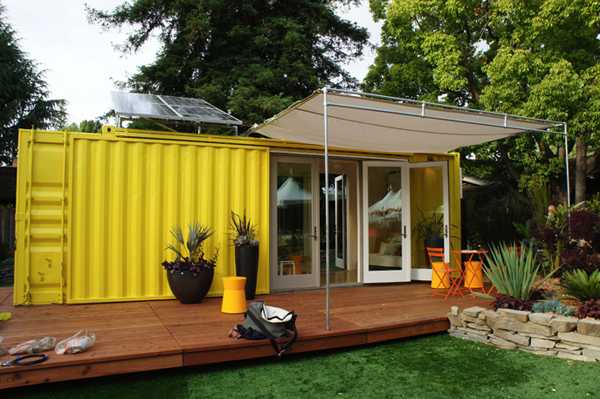 Shipping containers can be used as prefabricated parts in construction of a new home or office or great guest house as it is a lot cheaper and less time-consuming than building a regular house. However, while cargotecture is seen by many as an eco-friendly way to construction there are many nuances to take into consideration. Cargo shipping containers are coated with special weather-proof paints that contain hazardous to health ingredients. The floors are also treated with special chemicals to keep away insects as well as they might have traces of toxic contents that have been shipped in it. So the containers must be chosen very carefully as well as copletely stripped of paint and floors to be habitable. 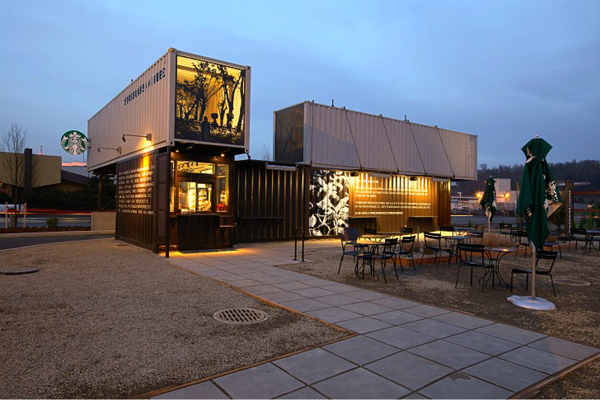 While using shipping containers in architecture can help recycle them they are not very environment-friendly when it comes to construction. Consider toxic paints and floors, cut out metal parts and other kinds of waste. Then the containers must be set in place with help of a crane that consumes fossil fuel. Insulation is the main concern when it comes to housing made of shipping containers. Made of metal the containers can be very cold in winters and hot in summer thus consuming more energy for keeping the adequate temperatures in the house. It is important to find solutions for both winter and summer periods in terms of insulation to reduce energy consumption and keep the house temperature livable. Without foundation the container house might not be the best option for zones with stormy weathers. Besides metal containers are prone to rust so it’s very important to check for it regularly. Still with time metal will deteriorate especially in rainy climate. The plus of cargotecture is cost as it tends to be less than for construction of a regular house. Also as with prefabricated construction building a shipping container home takes time. It, of course, depends on the design and additional works that the owner may require such as windows, additional spaces, etc. Not all zones allow building metal houses. The construction permit might be difficult to obtain if there is a restriction on such homes so make sure the area allows to build house out of containers before purchasing any.